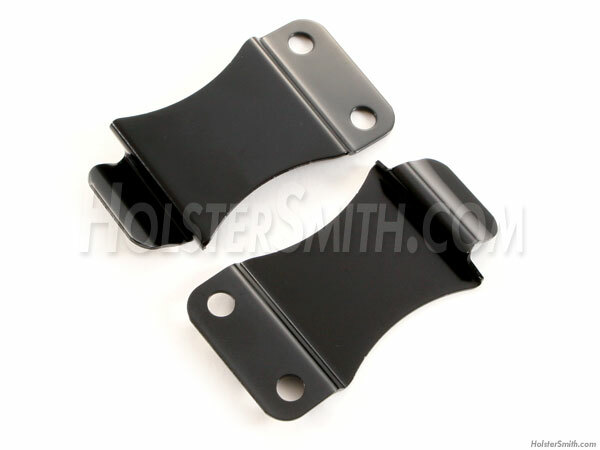 These are our heavy duty metal universal flush mount belt clips. 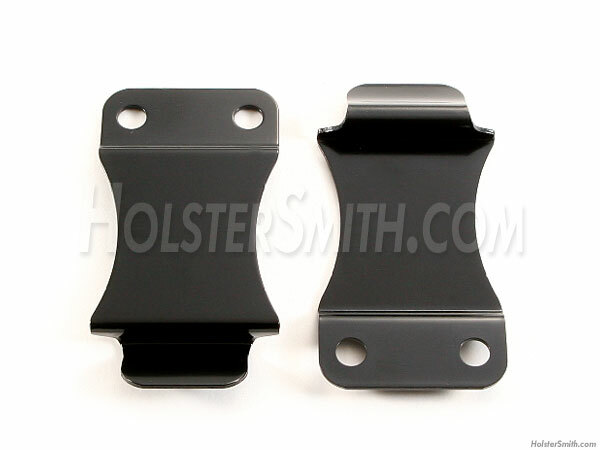 This design is very practical when you want a thin profile or tight-ride on your holsters & sheaths. They are also very versatile in the way they mount, allowing you slip it over your belt (fits 1.50" belts), molle strap or simply over your waistband. Because they create spring tension and include a bottom retainer, they are also quite secure. This heavy duty metal version is perfect for larger rigs, or for users who demand extreme performance. These are the most secure on the market. 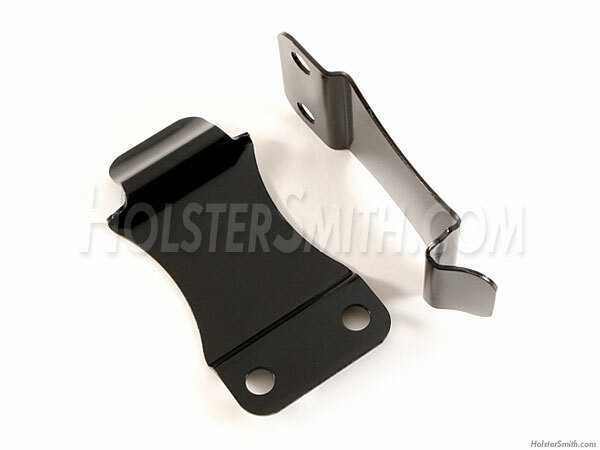 Our metal flush mount belt clips are drilled 1-inch on center.